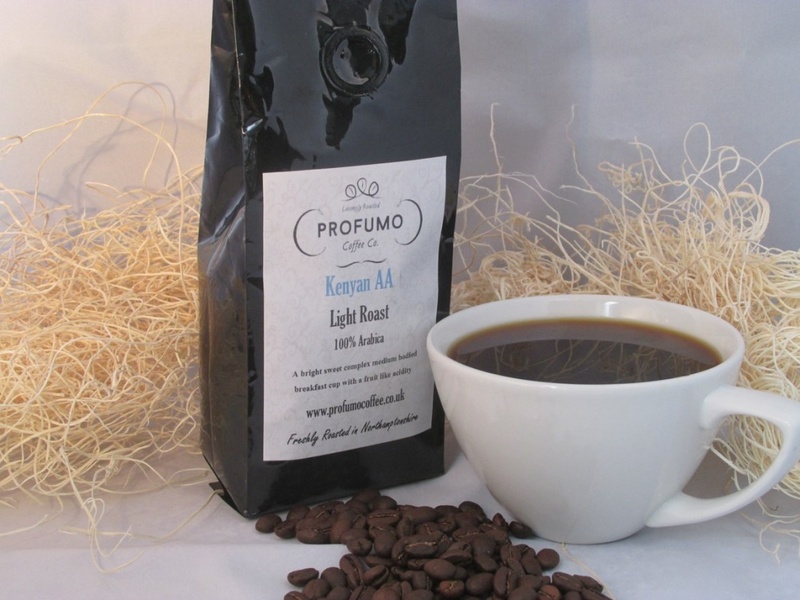 Profumo Kenyan (AA) Light Roast Espresso Coffee is a locally roasted pre-ground Coffee ready for use in a home Cafetiere or filter machine. 100% Arabica beans freshly roasted in Northamptonshire. A bright sweet complex medium bodied breakfast cup with a fruit like acidity. Sit back and enjoy the aroma and stronger espresso taste on a lazy Sunday morning. Supplied in a 227g quality air sealed pouch.